Home SPIRITS & LIQUEURS Other Spirits What is Cachaca? If you’ve ever drunk a refreshing Caipirinha cocktail on a warm summer’s day then you’ve probably tried cachaça without even realising. This light, grassy, aromatic spirit comes from Brazil and it’s just the thing for sipping and mixing while the sun is out. 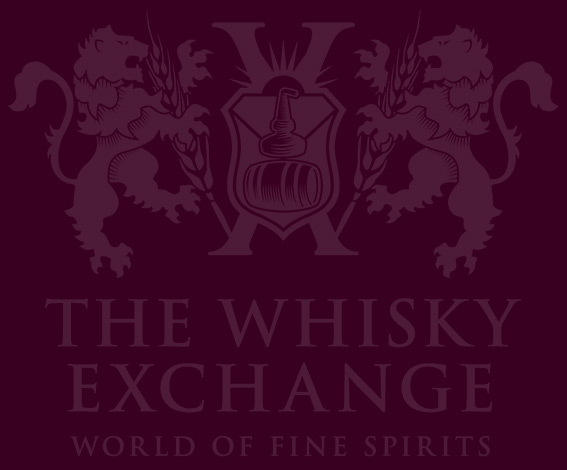 With the sporting extravaganza in Rio just days away, here’s The Whisky Exchange guide to cachaça, Brazil’s national spirit. Cachaça is a Brazilian rum, but it’s much lighter and fresher than most as it’s made with pure sugar-cane juice, as opposed to the more-common molasses. The only rum that comes close in terms of style and flavour is agricole, a speciality of French-speaking Caribbean islands. The word ‘cachaça’ refers to the foam that would gather in the vessels used to boil sugar-cane juice. If you’re talking Brazil, music is never far away. This storming tune will get you in the mood for some samba action, washed down with a little cachaça. Tim-tim! What does cachaca taste like? Unaged cachaças are fresh, grassy and light, with a herbal note. 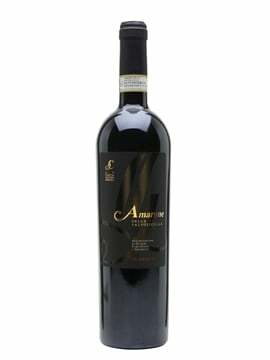 Aged versions are darker and richer, with notes of toffee, vanilla and spice. You can substitute cachaça in many cocktail recipes that call for white rum, vodka or Tequila; it works a treat, adding a punchy, summery feel that will give an edge to your cocktail repertoire. Once the sugar cane is harvested, it’s pressed through metal rollers to extract the juice. Once the juice has been collected, it’s filtered and fermented for 24-72 hours and then distilled to between 38%-54% ABV. 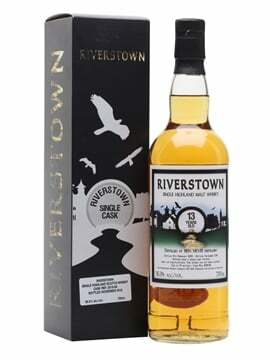 Sugar can be added, but no more than six grams per litre, otherwise the spirit must be labelled as ‘sweetened cachaça’. 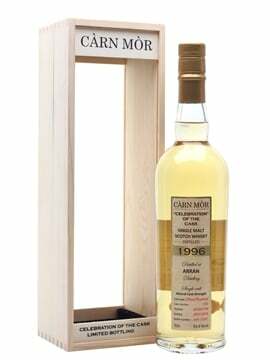 ‘Aged cachaça’ on the bottle means at least 50% of the contents must have been aged for a minimum of one year. 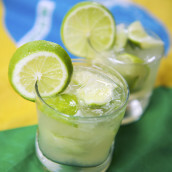 The classic way to drink cachaça is in a Caipirinha (‘kai-pir-EEN-ya’) cocktail, a zingy, refreshing drink that combines cachaça, fresh lime and sugar syrup. 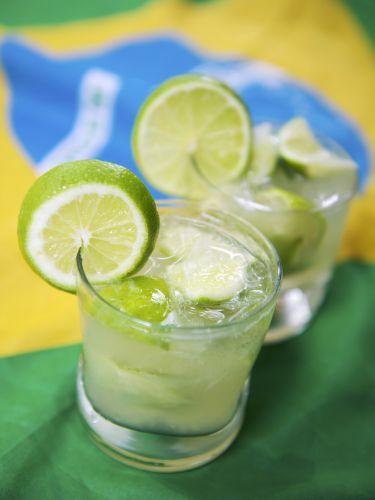 Here’s a simple Caipirinha recipe: muddle a handful of lime wedges in a glass (pressing them carefully with a muddler or rolling pin to release their juice and oil), then add 50ml of cachaça and 12.5ml of sugar syrup. Add crushed ice, stir and serve. Click here to find out more. scientists have identified more than 70 aromas in cachaça. 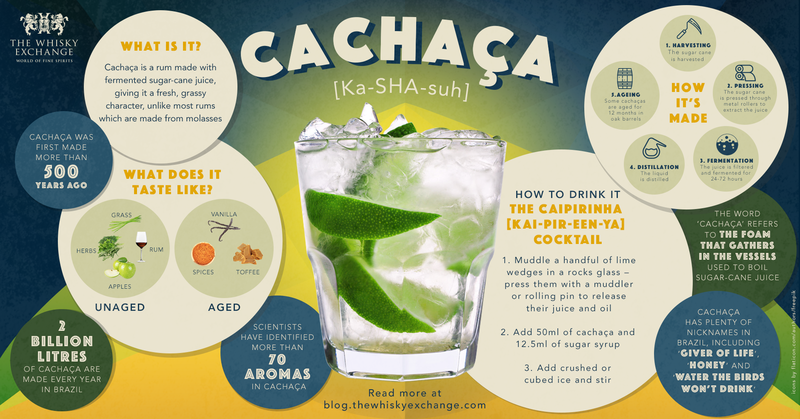 Finally, we’ve put together this infographic with an at-a-glance guide to cachaça. 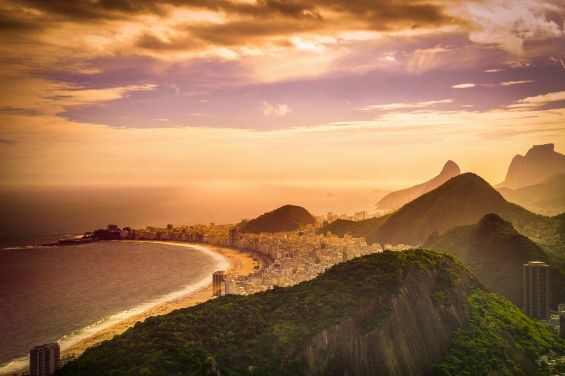 Click on the image to see it in all its glory, and get into the Brazilian spirit!